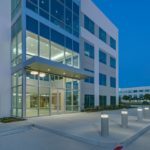 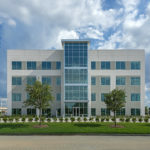 Browne McGregor Architects provided full architectural services for The Offices at Sam Houston. 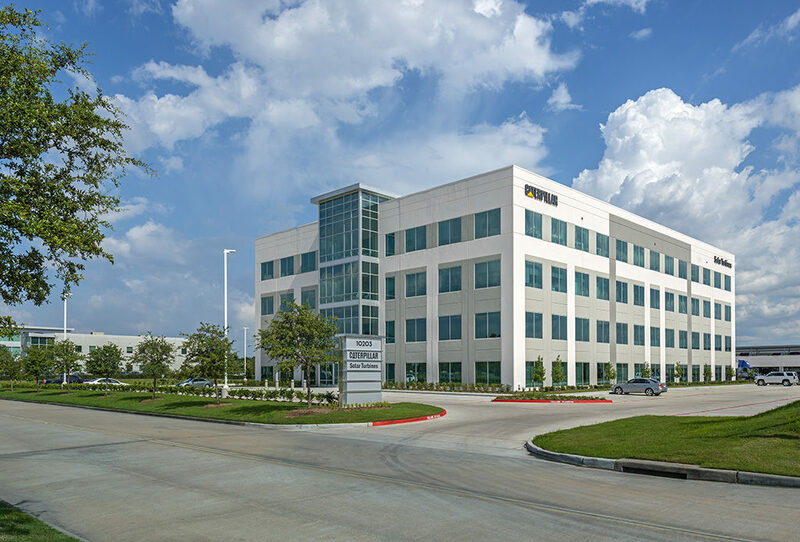 The four story 113,000 square foot office building and two story 103,000 square foot parking structure are located in The Sam Houston Crossing development on Houston’s Beltway. 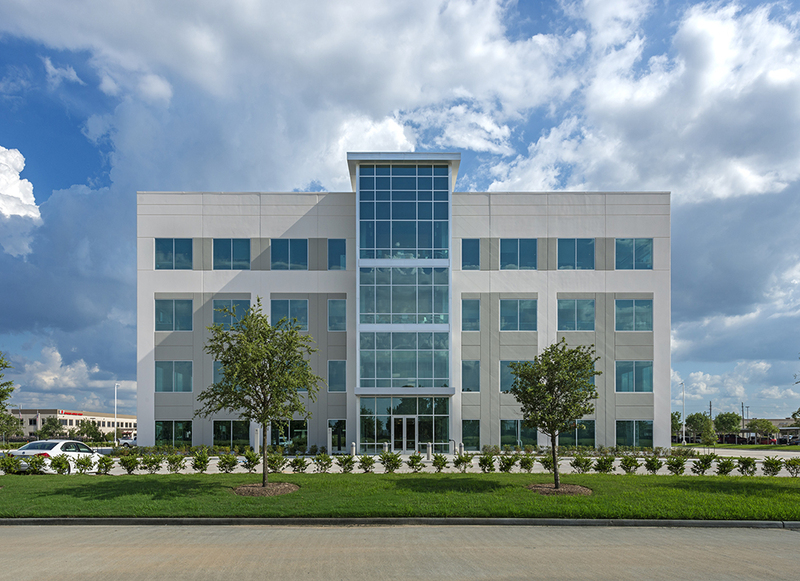 The project is registered with the U.S. Green Building Council for LEED Silver Core and Shell Certification. 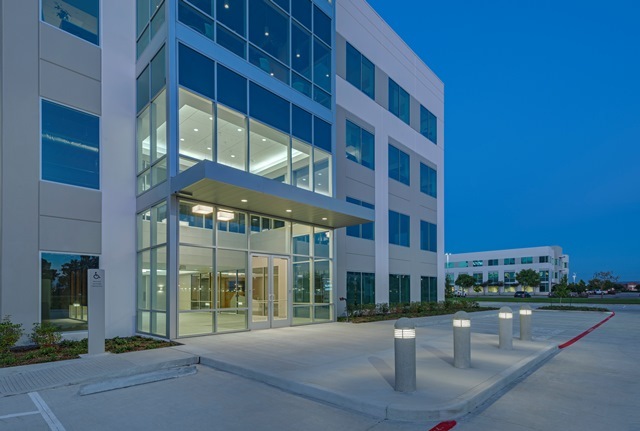 The building exterior consists of concrete, tile-wall panels, painted with a combination of three colors, and extensive energy efficient glazing. 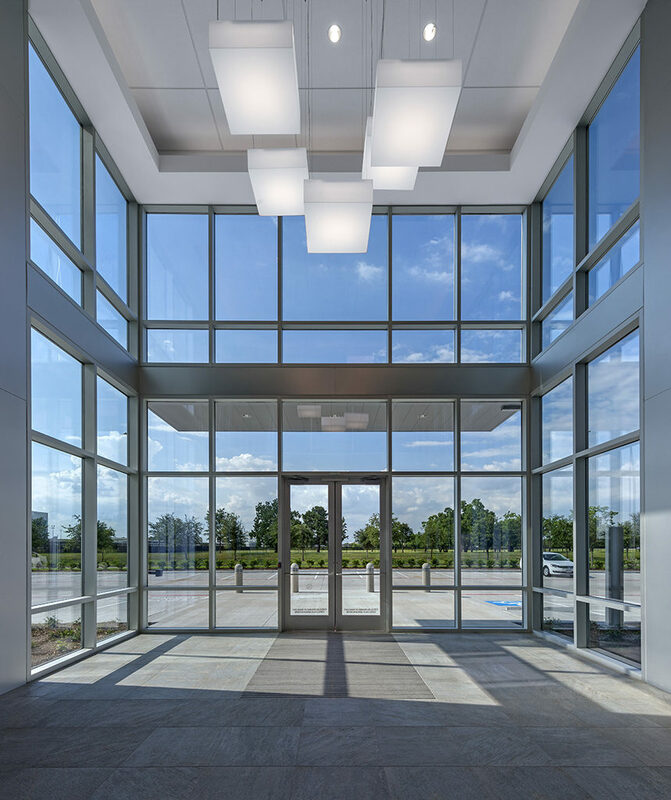 The building interior has a dramatic two story lobby to greet tenants, and visitors. 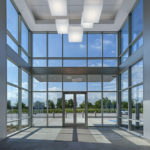 The buildings largest floor plates were designed to accommodate tenants such as Caterpillar Solar Turbines who occupies two and one half floors within the new project.